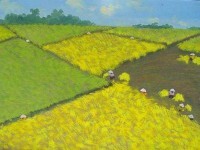 * since 1987: participaetd in finearts exhibitions in vietnam and mocow, berlin, pragua and sofia. 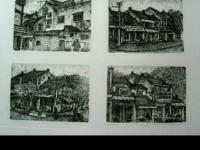 * 1986-1992: solo exhibitions in hanoi * 1993 and 1996: solo exhibitions in singapore. 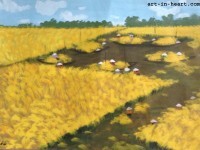 * 1997: group exhibitions in singapore. 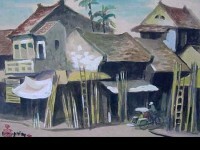 * has worked in the fineart s museum of vietname, in private collectins at home and abroad. 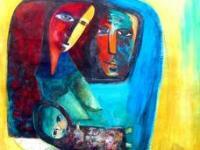 * lecturer at the center teachers' training college of music and painting from 1977 to 1993. 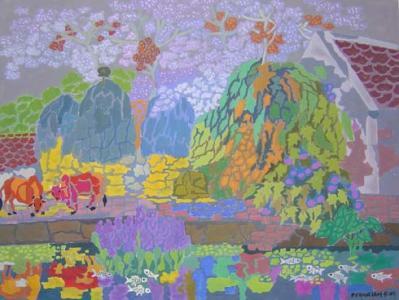 * 1985: silver medal at the national fine art exhibitions . 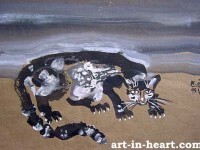 *1990: bronze medal at the national fine art exhibitions . 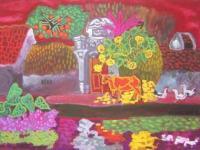 - coconut - trees by the pond - gouache - 70cm x 100cm - 1994. 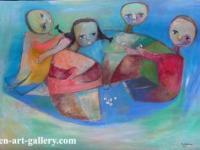 - time flight - gouache - 80cm x 100cm - 2002. 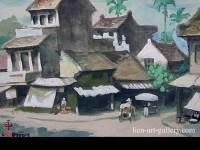 + Our gallery locates in Hanoi – the capital of Vietnam. 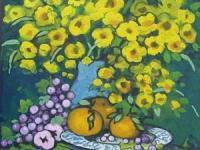 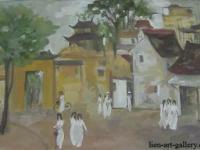 We takes the paintings directly from Vietnamese artists at wholesale price. 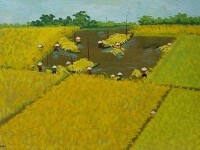 Therefore, you can have Vietnamese paintings from us at really reasonable price.